Pablo Picasso innovated in almost all art media, from painting and sculpture to book arts and printmaking. Mia recently acquired a rare group of prints that show his exploration into a novel printmaking technique: the reduction linocut. In collaboration with master printer Hidalgo Arnéra, he pioneered this way of making multicolor prints from a single printing matrix. On display is Mia’s series of working proofs from Arnéra’s archive showing each step of the process. The subject of the prints? 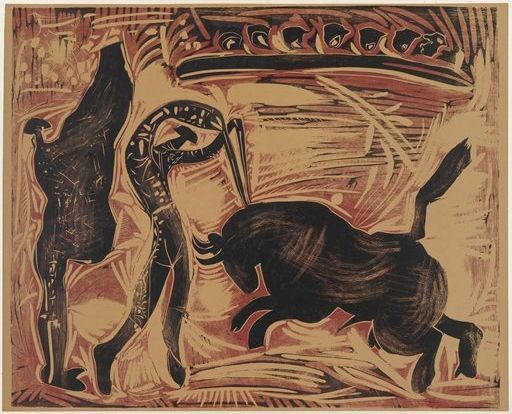 Bullfighting—a subject near and dear to Picasso’s heart.